An Indigenous cartographer is using mapping as a way to tell the stories of missing and murdered Indigenous women and girls. So far, Annita Lucchesi has helped document over 3,000 cases, some reaching as far back as 1900. An Indigenous cartographer is using mapping as a way to tell the stories of missing and murdered Indigenous women and girls. "People always say that mapping is a colonial tool, or a tool of colonialism, and it certainly has been used in that way, but I think the power of mapping is that there is so much power in it. It doesn't necessarily have to be oppressive," said Annita Lucchesi, a doctoral student in the cultural, social, and political thought program at the University of Lethbridge. "It can be liberating. It can be healing. It can be empowering, especially when it's being used by people who have been historically oppressed." 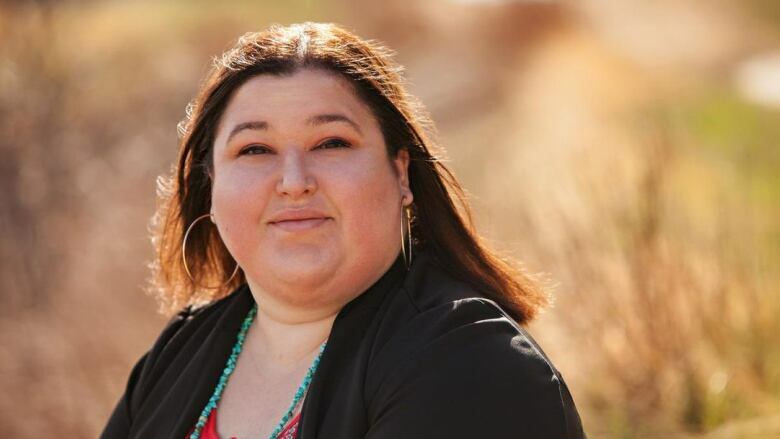 The Southern Cheyenne cartographer is creating an atlas of missing and murdered Indigenous women and girls across Canada and the U.S. So far, Lucchesi has helped document over 3,000 cases, some reaching as far back as 1900. Traveling to Indigenous communities, Lucchesi holds mapping workshops with community and family members. She said the project is about making a platform for people to tell the stories that they want heard. "Everywhere I go people have such beautiful ways of thinking about this issue that you wouldn't learn anywhere else," she said. "That's the beauty of community-based mapping. So many minds, so many brilliant ideas." Lucchesi said that non-Native media tend to tell the same story and narrative over and over again, trying to convince people that the high numbers of missing and murdered Indigenous women and girls is a crisis. "I get that. People need to understand that." But she stressed it has been long enough and we need to move beyond defining the crisis and toward taking action. "It's time to start telling stories in a way that heals or empowers or mobilizes us." For Lucchesi, the project started with her own personal story, as a survivor of domestic violence. "Mapping was a healing process for me," she said. After she left an abusive relationship, she decided to return to school and finish her masters thesis. It was supposed to be on mapping Indigenous experiences of genocide, but all she could think about was her own story of abuse. "I needed a space to make sense of that and mapping became to tool for me to do that." She made several maps outlining her life path, her abuser's life path and how they converged into violence. Lucchesi said, for the first time, she was in control of how she wanted to tell her story. "The beauty of maps is we can share as much or as little as we like and it still makes sense. We get to decide where those boundaries are. We get to decide what colours to use, what symbols to use, we can put cultural ideas on them. They're so flexible and there's so much freedom in that that it's really a liberating form of storytelling." Lucchesi said she hopes that through her work with Indigenous mapping, new relationships between Canada and Indigenous peoples can be created. "Through mapping we're able to tell stories to each other that help us to build better relationships, help us to understand one another a little bit better so that we can respect the sovereignty of Indigenous peoples."